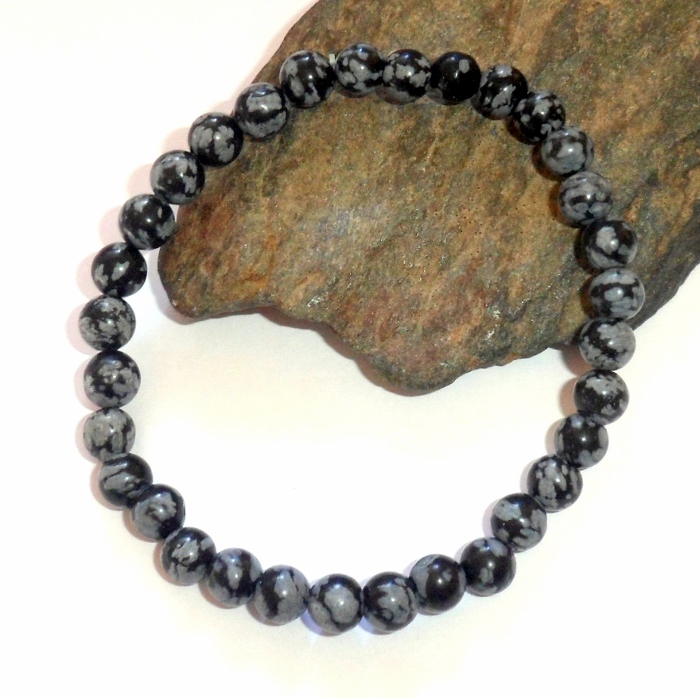 Snowflake obsidian gemstones set on a stretch bracelet. 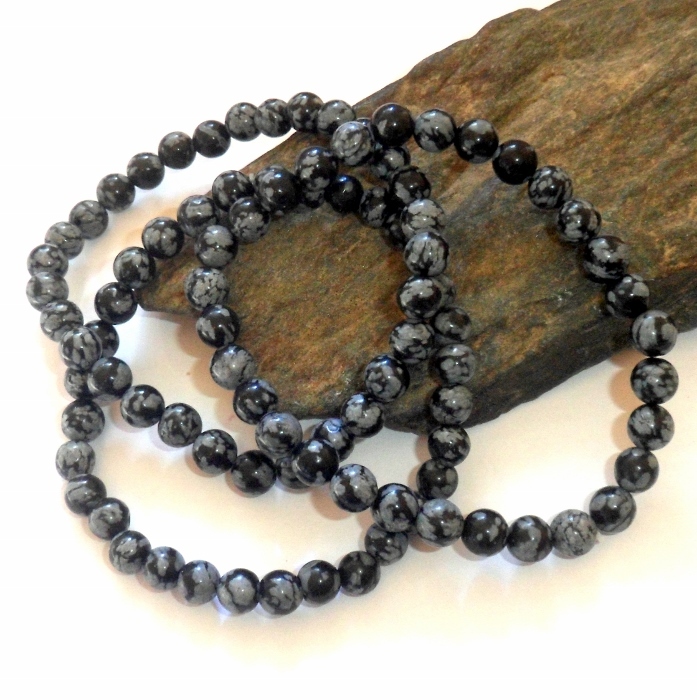 Snowflake obsidian is a root chakra gemstone associated with the earth element. Snowflake Obsidian cleanses negativity and self defeating thoughts, and helps one overcome feelings of victimization. Encourages perseverance. Snowflake Obsidian is a stone of vision and perception. It balances and creates purity in the mind, and promotes insight and projection. 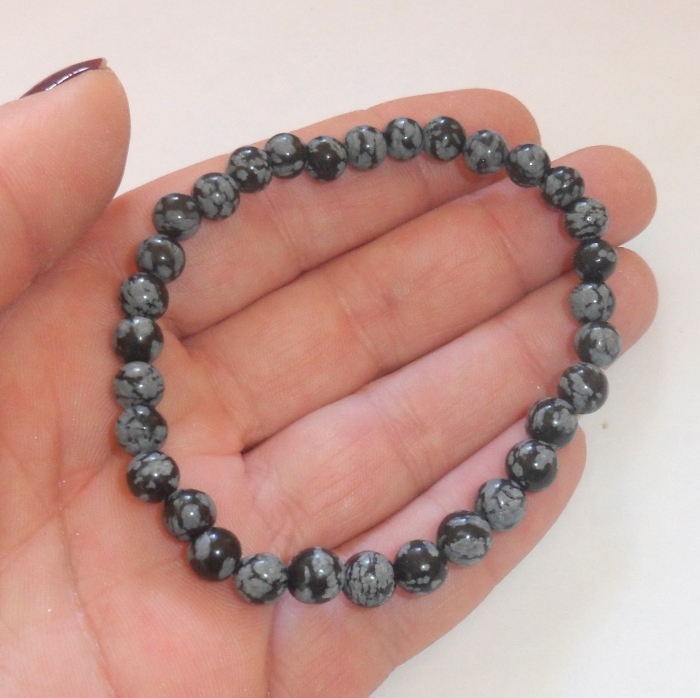 Snowflake obsidian stones are 6 mm round. Bracelet is approximately 7 inches diameter.